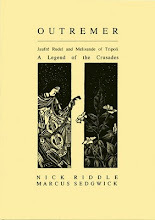 Edmond Rostand’s rendition of the Rudel legend, La Princesse Lointaine, features several lyrics written by Rostand but attributed to his fictionalised Goffroy. The original production must have set this to a melody of some kind; but a century later, it seems there’s a new one. 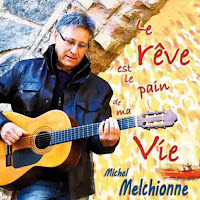 An album by the French singer-songwriter Michel Melchionne (Le rêve est le pain de ma vie) features a song entitled ‘La Princesse Lointaine’, which is credited to ‘Edmond Rostand / Michel Melchionne’. Ou blonde, on l'a sans peine.